Book Description: Stress and anxiety are increasingly becoming issues in the workplace. Highly competitive marketplaces, longer working hours, and higher performance expectations are all contributing to a more stressful work environment. And the news at home isn’t much better. Digitization and “always-on” technology have blurred the boundaries between work and personal life, removing the natural buffer between them and costing us our health. At a time when there is significant anxiety both at home and in the workplace, it’s critical for us to understand how our bodies react to stress, why stress is a necessary element of our lives, and how we can better cope with mounting worries in everyday life. In Taming the Sabertooth: Resilient Leadership in a Stressful World, we are reminded that while we cannot necessarily change our environment, we do have the power to shift our response to our environment by building resilience. With insights that are intensely practical and unapologetically straightforward, we learn that hiding behind a rock is not an option; to thrive, you have to tame the sabertooth. Author bio: A high performance coach specializing in leadership effectiveness, Tracey Grove helps executives from diverse lines of business all over the world deal with individual and inter-personal issues, communication challenges, and organizational shifts. 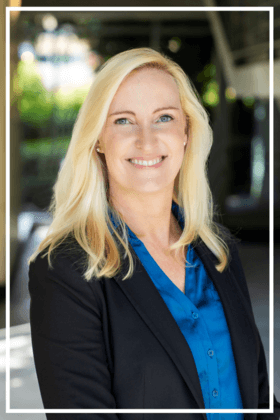 With over two decades of experience across public and private sectors on three continents, Tracey has dedicated the past ten years to developing resilient leaders and organizations that are adaptable to rapidly changing environments. A Professional Certified Coach and Forbes contributor, Tracey is a sought-after speaker on building resilient organizations. She has taught the skill of resilience to thousands in over twenty countries around the world.